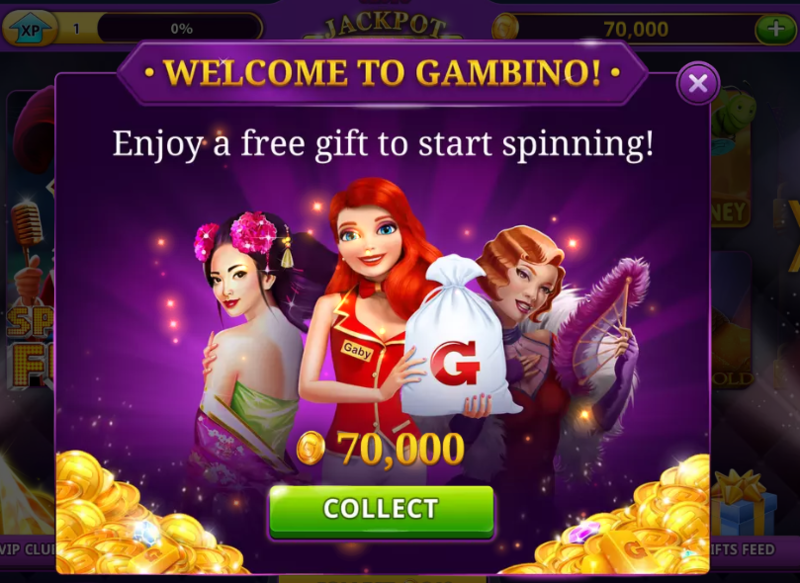 Welcome to Gambino Slots, one of the best online casino games you've ever played. We are blessed to have you as a Family Member! 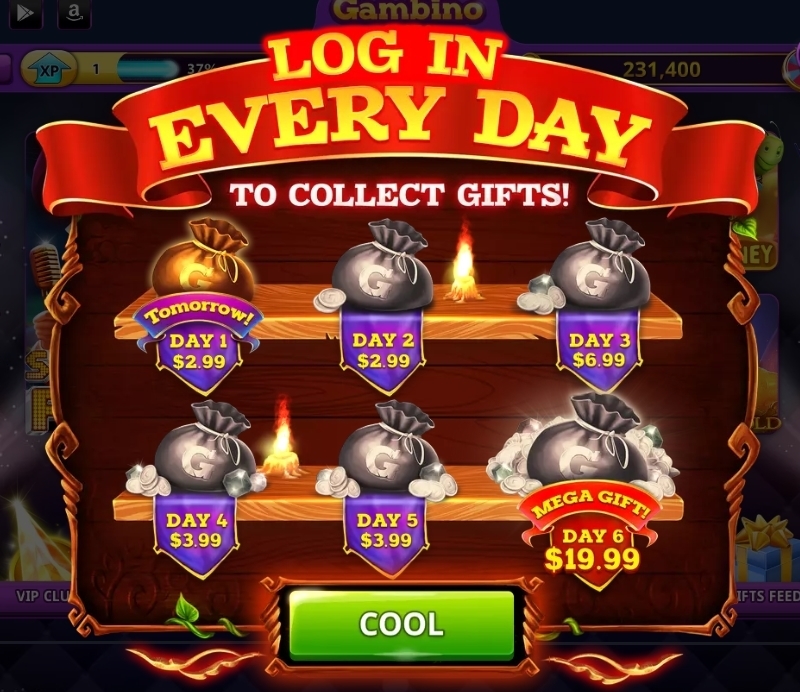 Upon collecting the G-coins the game will automatically show you the very first slot in the Gambino Slots App. 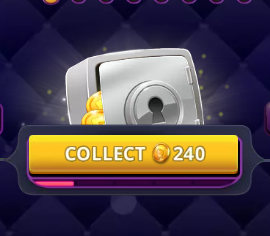 Once you click "COOL" you can go through the lobby and discover all the features available for you from the start. 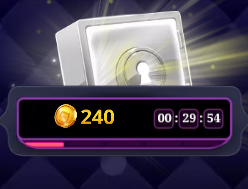 Here we are, only one slot is open for you right now and it's time for you to open the others step by step, go for it! 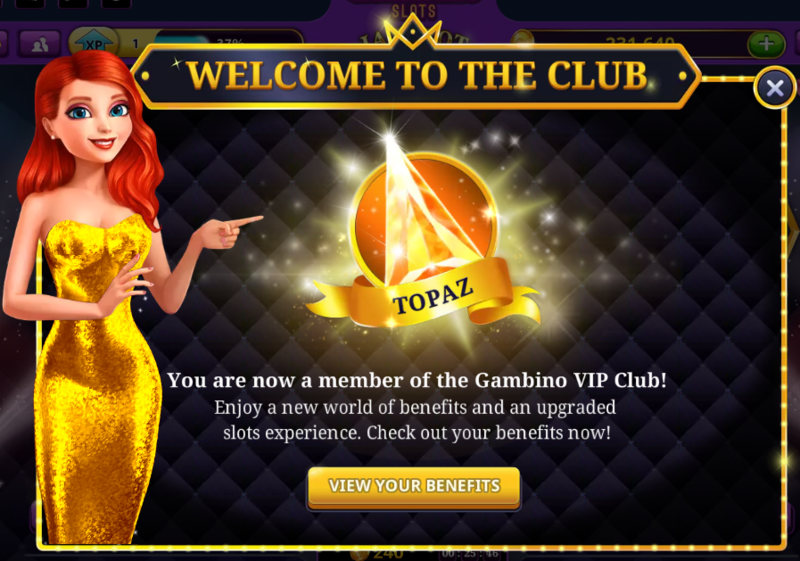 Once you're in, it's time to get acquainted with even more of our features! 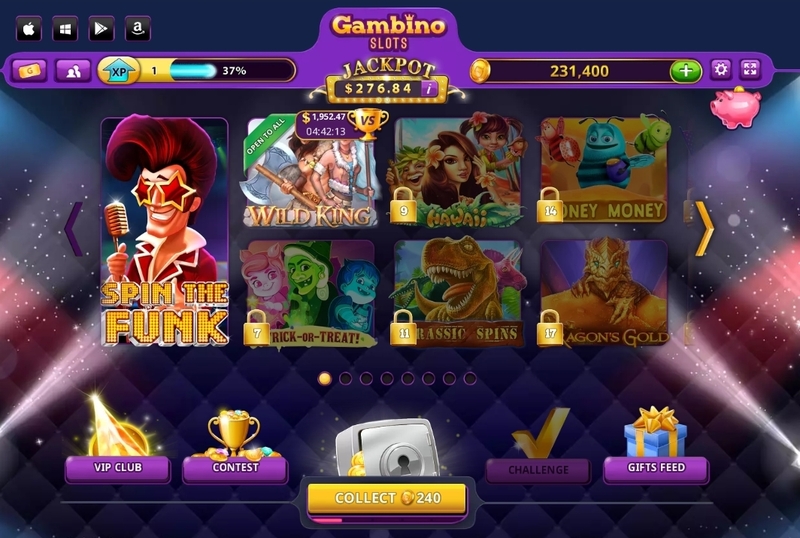 Open a slot with a contest inside to battle with your Gambino Friends.